The quickest way to stay in the loop of library happenings is to follow this blog or follow Meinders Library on Facebook. Summer Reading Program sign ups begin June 3rd. All ages welcome. June 19 DIY Escape Room Workshop from 2-5pm. Learn how to plan fun events for family, friends, co-workers, and youth groups. Registration required. August 12-18 Watched: An Escape Room. Times TBA. Must Register. Story Time: Tuesdays @ 10:30am. Open group. Books-n-Brew Book Club: 2nd Fridays at 6:30pm. Potluck. Coffee & Coloring 2nd Saturdays at 2:00pm. Early Bird Book Club: 3rd Tuesdays @ 8:30am. Open group. 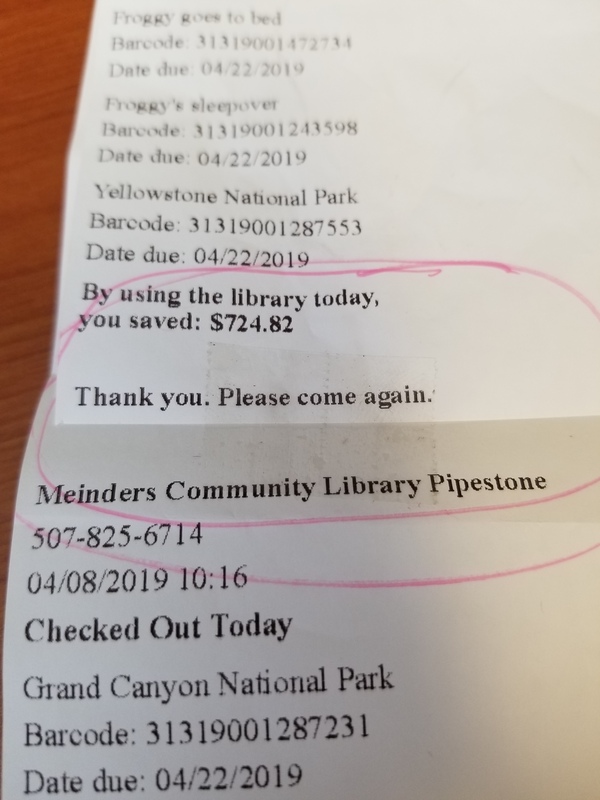 We appreciate your interest and use of our library. Our number one goal is to get the right materials into the right hands. If we can enhance your time with us in any way, please let us know.